Electrical Schematics are maps for designing and building circuits. This is a simple guide to understand and read electrical schematics. 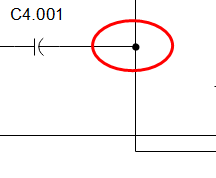 Reading schematics is all about recognizing the symbols and lines to see how they are connected. Therefore, to be able to read electrical schematics you need to know electrical schematic symbols and which wires connect to which component and how each line flow in an electrical schematic. Here are some of the standard and basic symbols of various components for electrical schematics. 1. Resistors are the fundamental components and symbols of electrical schematics. They are usually represented by zig-zag lines with two terminals extending outward. 2. Capacitors: The symbol with one plate indicates that the capacitor is polarized. 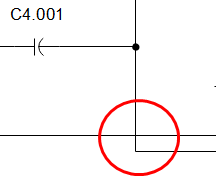 A plus sign might also be added to the positive pin of the polarized capacitor symbol. 3. Inductors are usually represented by a series of curved bumps or several loopy coils. 4. Switches: SPST (a single-pole/single-throw) is the most basic switch. It has two terminals with a half-connected line representing the actuator. Switches with more than one throw can add more landing spots for the the actuator. 5. Power Sources mainly has two types, DC or AC Voltage Sources. They represent either the source is supplying direct current (DC) or alternating current (AC). 6. Digital Logic Gates: Standard logic functions all have unique schematic symbols such as AND, OR, and XOR. Adding a bubble to the output negates the function, and you will get NAND and XOR. There are certainly many more electrical schematics symbols not mentioned on this list. 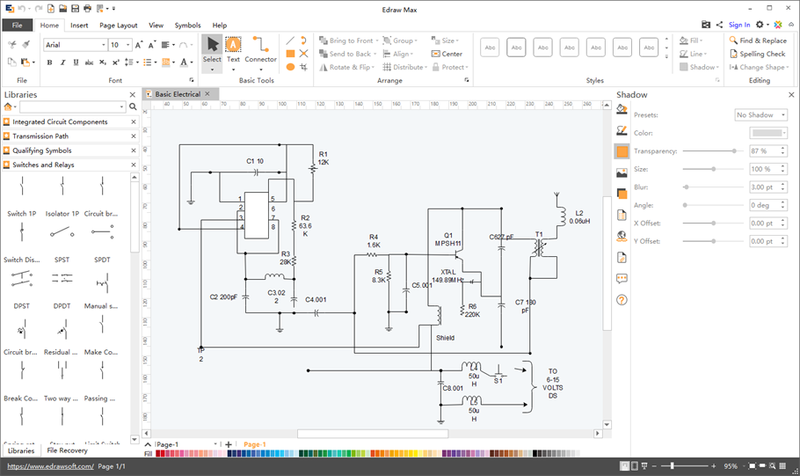 Download this electrical schematics software and find out more about its usage. They should help you a lot in schematic reading. Name: In addition to the symbols, every component on electrical schematics has a unique name and value, which further helps to identify what it represents. Component names are usually a combination of one or two letters and sometimes a number. 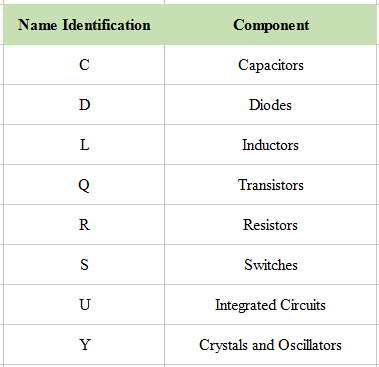 The letter in the name determines the type of component, every component's name on an electrical schematic should be unique. If you have more than one resistor in an electrical schematic, then name them R1, R2, R3 and so on. Value: Values can help define exactly what a component represents. For schematic components like resistors, capacitors, and inductors the value tells us how many ohms or farads they have. But for integrated circuits, the value may just be the name of the chip. Understanding the representation of symbols and components is just the first step of reading electrical schematics. What you need to do next is to identify how all of the symbols are connected together and how to figure out their connections. 1. Nets are lines that will show how components are connected together. 2. Junction is when a wire splits into two or more directions, it create a junction. But a junction only means wires passing by but not connected. 3. Nodes shows that wires that are crossing this junction are also connected.